Many businesses face a great deal of cost and high environmental impact from simply heating water. These issues can be significantly reduced with a solar hot water system. How can businesses benefit from solar hot water? Solar water heating is a highly efficient and effective way to reduce energy costs when using hot water. If you own or manage a business that uses large amounts of hot water such as a hotel, retirement village, brewery or vineyard, solar water heating can make a significant dent in your direct costs. The savings go straight to your bottom line. For over a decade, Apricus have been installing industry leading solar water heating systems around the world. 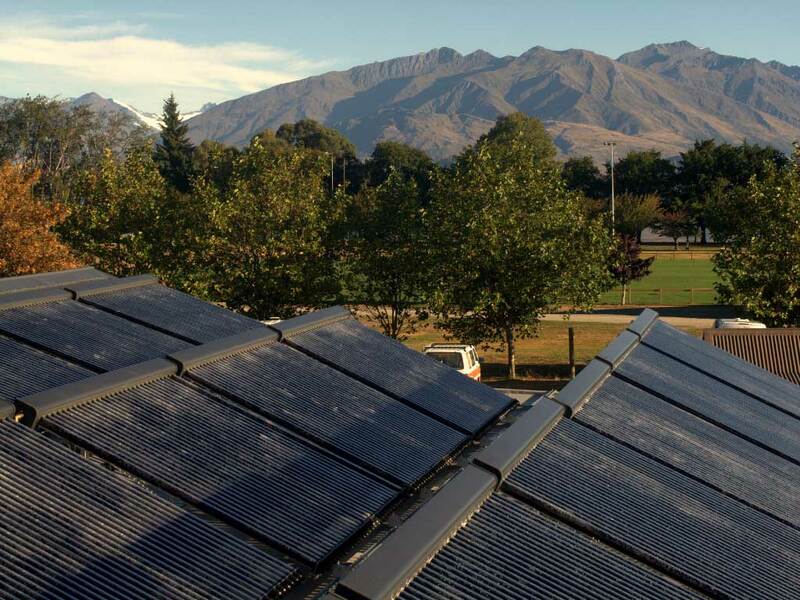 In New Zealand, our team have completed a number of commercial installations and are ready to work, assess and discuss your business needs, and the potential savings that could be made from solar water heating. All Apricus systems are designed and installed to integrate seamlessly with existing hardware, ensuring hot water is guaranteed 24/7 whilst savings are optimised. A solar water heating system clearly illustrates to your customers that you are taking environmental sustainability seriously and have put in place measures to control costs for the long term. Using the global standard software Polysun, we can model predicted energy savings and the reduction in carbon emissions your business will achieve using an Apricus solar hot water system. Once installed, the smart controller and web monitoring will provide accurate information for measuring and reporting on business sustainability. There are a number of examples of high performing Apricus installations on New Zealand businesses, currently saving them plenty of cash while reducing their environmental impact. If your business uses a seriously large amount of hot water there is plenty of scope to make seriously large savings too. The video below details a commercial sized Apricus system installed on a Fabric Dying Factory in Mauritius. The system is comprised of 100 x Apricus ETC-30 solar hot water collectors.